Started a batch of kraut from 2 heads of cabbage. Oh man! You win this week's prize for cute garden pictures! When I saw the title of your post I figured you had to be way north of the Mason/Dixon Line. I could never get that stuff to grow and do well this time of year down in New Orleans. I love the "winter" vegetables and eagerly await fall every year. 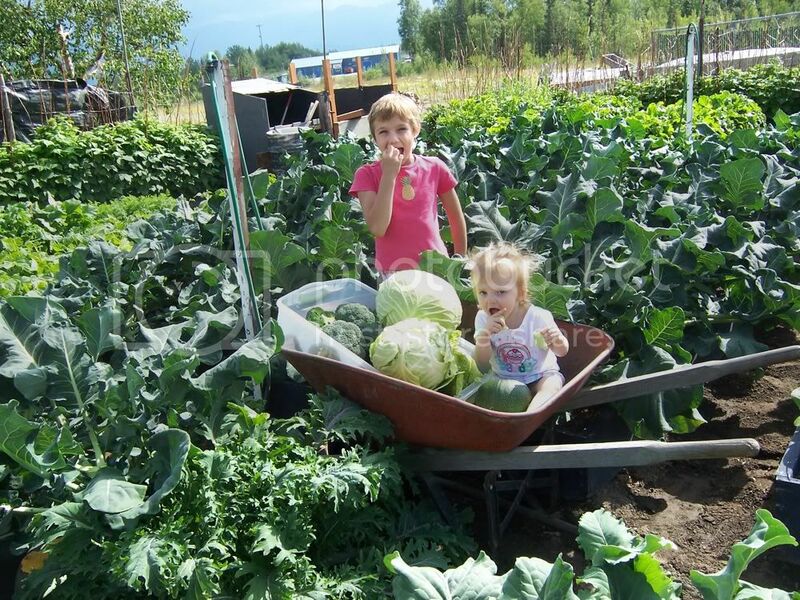 Looks like you have a couple good helpers there and that's a good thing since your garden looks to be pretty large. Everything looks nice and healthy too. Right now, I'm struggling with the heat of summer and it's taking a toll on my garden. Great looking heads of cabbage by the way. This year I beat the moose to the broccoli for the first cutting. Been a better summer so far than last year. Had a few days in the 70s.